It has been newly discovered by the Presidential Electoral Tribunal (PET) that aside from the problematic transmission of votes, unusually perfect-shaded circles and wet ballots that there were burnt and almost crumbling ballots in Camarines Sur. 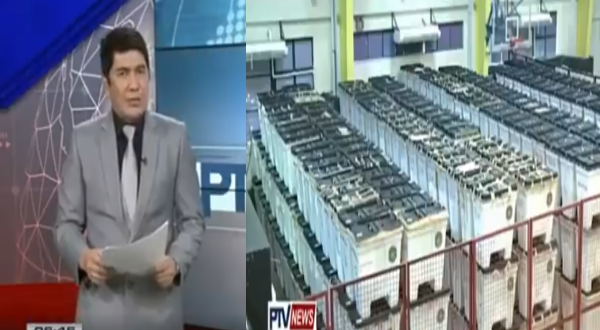 Based on the report of Erwin Tulfo of PTV News, Camarines Sur have been the honeypot for unreadable ballots. So far the ballots of Ocampo have been discovered to have burn marks on the edges and at the very center, deeming it unreadable by a PCOS machine and tampered. Meanwhile the wet and crumbling ballots have been discovered to be from Garchitorena. Other than the extremely poor condition of the discovered ballots, there was a huge lack thereof official Commission on Election documents from the ballot boxes. The documents missing, to name a few, are the election return, voter’s receipt and minutes of voting. Another sign of tampering of the boxes. It seems that whether it be automated or manual, cheating is a definitely never going to disappear from the elections. With only 6 out of the 13 towns of Camarines Sur that has been inspected, tampering was already prominent and that’s less than half the towns of the province and what’s worse is that it is all hard evidence on tampering and cheating. How much more would arise if the PET gets to inspect and manually recount every single town in the entirety of the Philippines?